Handmade sculpture made of 65% natural stone, hand-painted, each piece is unique. 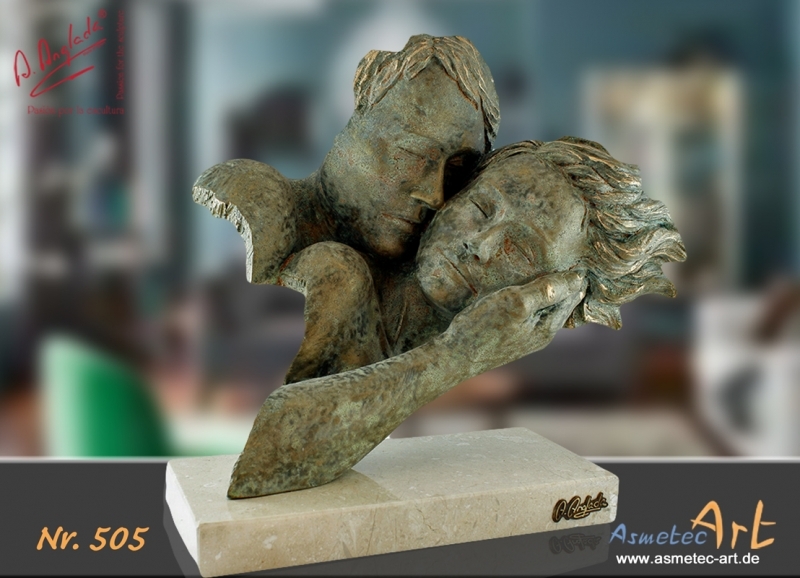 Based on a solid marble plate this handmade sculpture from the series "Couples" is made in the art workshop A.Anglada in Spain. A limited number of copies are poured out from a completely hand-crafted masterpiece, then hand-painted the fine details of the stone in artistic handwork. Each sculpture has its own look and is unique. Our image can therefore only be an example.